JustWorld is an organization supported by an incredible network of equestrians who are always looking for ways to give back. One special demonstration of this is from JustWorld supporter, McLain Ward. What were your feelings going into the lesson? K: I was in slight disbelief at the amazing opportunity JustWorld had given us. I was a little nervous to take the lesson because I looked up to him so much as a rider, but I was also very excited. 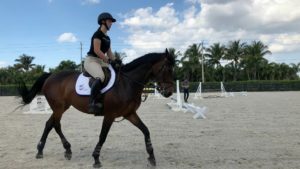 C: At first, I was very excited, but I was also nervous to be judged on my riding by one of the world’s top equestrians. However, once the lesson began my nerves went away and I really tried to take in everything McLain was telling me. Please describe what the lesson was like. What did you do? How was it structured? K: We did a good amount of flatwork and then some jumping as well. The lesson involved a lot of work with refining our current skills. He gave a lot of perspective on the consistency it took to get to his position right now. He also gave great tips on how to connect better with our horses and be more conscious of what our bodies were doing while riding. 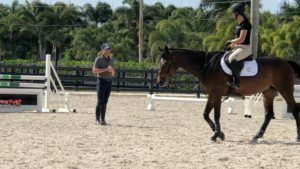 C: The lesson was similarly structured like a normal lesson; we started working on flat work, improving on basic and advanced skills that will help us to carry into the jumping portion. 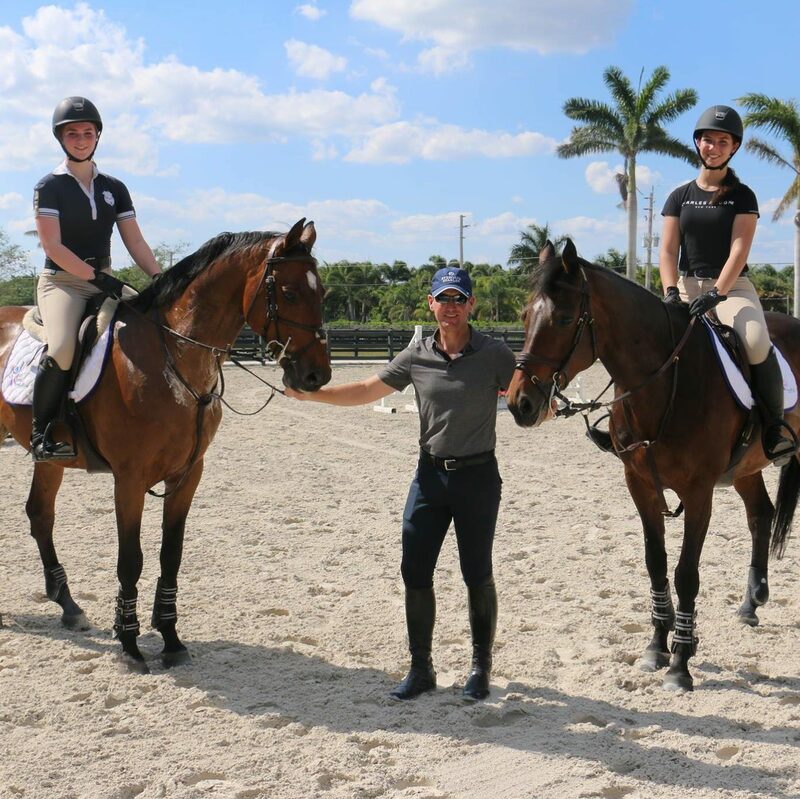 We did courses of jumps, and McLain gave us many helpful and specific tips to better each of our riding. K: My favorite part was at the end of the lesson when I felt the improvement and my course went very well. To be told that you’re doing a good job from an Olympic rider is an amazing experience. I felt so grateful to have gained insight from this lesson that I can take with me every time I ride. C: My favorite part was being able to gain different insight from someone so experienced. My trainers are so talented and amazing at what they do, but it is still good to get a different perspective once in a while, especially from someone like McLain. What was your largest take away from the overall experience? K: My largest takeaway was how important the mindset of riding is. He heavily emphasized the significance of being mindful through every part of my ride. Already after the lesson this has helped me in all of my rides. It was very interesting to see how such a basic tip helped someone like McLain all the time. C: My biggest take away from this experience is to always take every chance to better myself. Opportunities like this do not come around very often, so I want to be able to remember everything that McLain taught me and use it to my benefit. I want to always keep pushing myself to be the best equestrian that I can be, and experiences like this are the key to achieving my goals. How are you planning on taking what you learned in the lesson with you as you continue to ride? K: It was an unforgettable experience. Every time I ride, even when going for a light flat, I keep in mind what we worked on in the lesson and try to integrate it into my normal work. It is very beneficial and I love that I now have this new perspective on my riding. C: I will always remember what McLain taught us in our lesson. I already saw a huge difference in my riding as soon as he told me what I had to be doing better or differently. What are your riding goals for this upcoming spring/summer? K: My goals are to be able to qualify for finals this fall and to eventually move up. I would like to build my consistency in every ride this summer, which is something I think this lesson will help me with. C: My goals are to move from the Medium Junior Jumpers to the High Junior Jumpers, and hopefully begin to do some young rider classes and small Grand Prix’s by the end of the season. What is your favorite thing about being a JustWorld Ambassador? K: Feeling the sense of community and helping people is something truly special. Getting letters in the mail from the children in struggling countries that I got to impact is an amazing feeling. All of the people working for JustWorld are also such amazing people to get to be around. They are so smart, kind, and hardworking and they provide such a family-like environment. There are so many cool events and opportunities that bring people together while giving everyone the opportunity to make a difference in this world. This lesson is just one example. C: I love being able to plan such fun activities, such as the JustWorld gala, for such an incredible cause that helps so many children in need. It is so fun to work with everyone involved in the organization. It makes the time and effort we all put into it so worthwhile knowing that we are helping the people who need it most. I am so happy and proud to be a part of what JustWorld does.